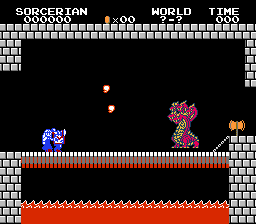 Here is a hack for Super Mario Bros. where a mock conversion of the game was done up to look more like Sorcerian for 1 level. I went ahead and translated all japanese to english. 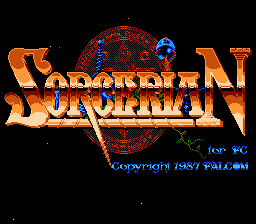 It appears the creator of the hack was going the make a game where you could create a party and fight with different characters. 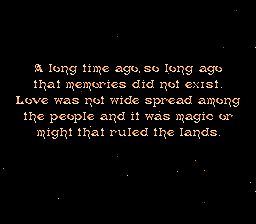 It also seems he was going the make a load/save system, as well as an option menu. 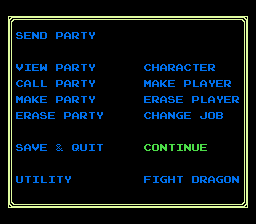 None of this was finished, however, and none of the options except for "Fight Dragon" work.